Snags in the supply chains of legal retail pot stores across Canada are no big surprise for a fledgling industry trying to meet huge demand, experts say. "There's very few industries that flip the switch on one day," said Jay Rosenthal, co-founder and president of Business of Cannabis, which produces content research and events related to the global cannabis industry. "I think the idea that an industry that is really nascent can all of a sudden produce enough product for a fairly ravenous consumer audience —there's gonna be challenges along the way." 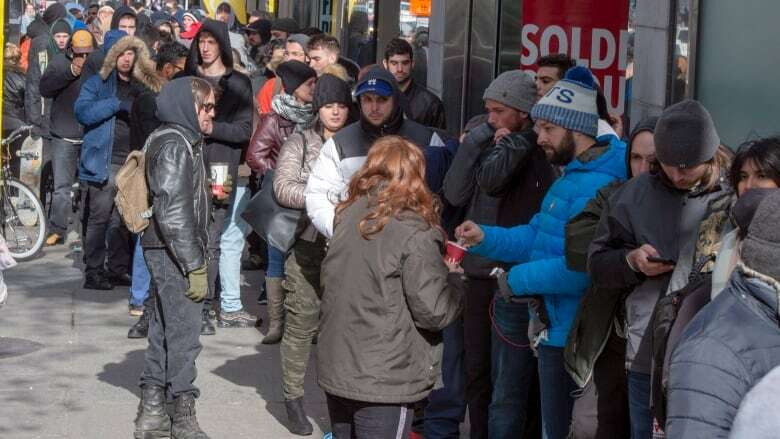 On Wednesday, it became legal in Canada to sell recreational cannabis, and Canadians lined up in droves at private and government-run shops that opened across the country. But some stores reported they could not keep up with demand. Manitoba Liquor & Lotteries told The Canadian Press that it is expecting product shortages in brick-and-mortar and online stores could last "up to at least six months." "Every province — not just Manitoba — is receiving substantially less cannabis than originally requested. … Retailers in Manitoba will be receiving staggered shipments over the next few weeks (some daily) in an effort to meet their requests," said a spokeswoman for the Manitoba Crown corporation in an email. A B.C. Liquor Distribution Branch spokeswoman said, "Shortages are/were expected to impact all jurisdictions across Canada as some [licensed producers] look to opportunities in overseas markets." Licensed producers "point to a number of factors in reduced product volume and assortment, including issues with supply chain, lower than expected crop yields, and insufficient supply of packaging materials," the spokeswoman said in an email. "We never really know when we're going to be getting our shipment," said Megan Kennedy, co-owner of St. John's-based The Natural Vibe. "But … we did receive one box and that was gone probably within a half hour to an hour." Border Security and Organized Crime Reduction Minister Bill Blair said there are growing pains in a brand new retail system. He said the provinces, territories and licensed producers had asked for 12 weeks to prepare after the legislation that legalized pot received royal assent in June, and the government gave them 17 weeks. 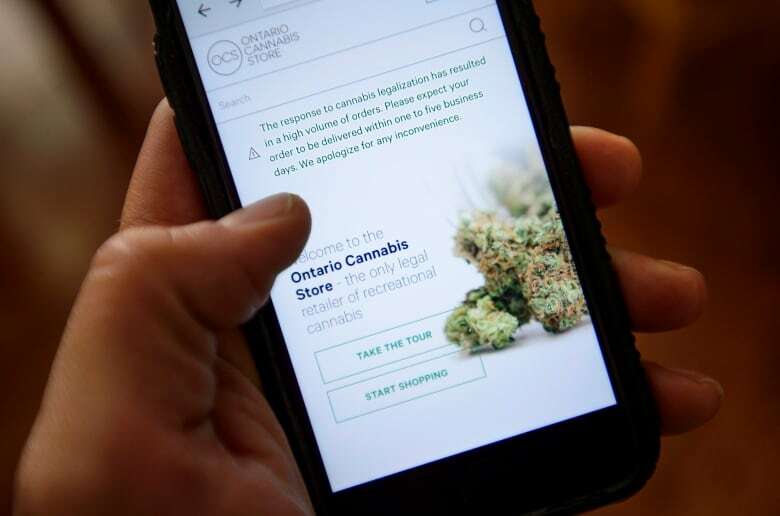 But industry expert Brad Poulos said one of the main reasons for the shortages is that the licensed producers are having a difficult time delivering the cannabis that's been ordered by the provinces. "Cannabis isn't as easy to grow as people think," Poulos said. "Although the licensed producers have had several months to build up inventories, the demand is such that they're just not meeting it in the short run." The problem, he said, is the combination of big orders for companies that are still relatively new. "A lot of this capacity that they're building hasn't yet been licensed, so we will see this problem diminish over the next few months," he said. When the capacity is developed, there will be plenty of cannabis to supply the roughly seven million Canadians who demand it, he said. Demand for cannabis is around 800,000 to a million kilograms a year, but the producers plan to grow twice that amount, he said. But receiving approval to sell cannabis can take time, and producers need two licences to sell the product. First, Health Canada inspects a facility and grants the producers a licence to cultivate. About 130 producers have that licence. Then the producer must complete two grow cycles and the government agency must be satisfied they are growing cannabis without mould, mildew or any pestilence. At that point, a producer is granted a licence to sell, and only then can they make their cannabis available to the market. So far, a little more than half the producers who have a licence to cultivate also have a licence to sell. It takes time to ramp up facilities to pass every level of Health Canada's regulations, Rosenthal said. "And then you can sell it but then you actually also need to ramp up your production capacity. So most of these companies are really new and ramping up production is a challenge for any sort of agricultural-based enterprise." "It's also difficult to do this right," he said. "It wasn't as if over the past 50 years people have been growing cannabis inside at scale to produce for a whole entire country. It's been a much different kind of market up until now." Rosenthal said Ontario's LCBO, for example, likely knows to the case how much beer and vodka and other alcoholic products are going to sell on big holidays like New Year's Eve or Canada Day. "They're basing it on a really long history, a really well developed supply chain and having done it for decades. We don't have any of that history." 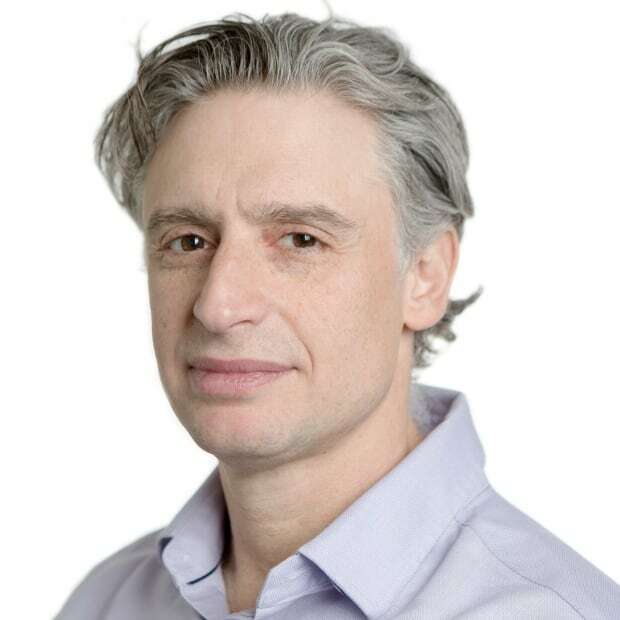 Poulos predicted that given the shortages, Health Canada will be "turning on their jets" to license as many companies as possible. "I've heard that from a couple of sources, that they just couldn't get through all of the paperwork and get all the approvals and the licensing done in time," said Jerome Konecsni, an industry expert and consultant. "When you look at the bureaucratic processes, they only dedicate so many resources for processing all of the licences and the regulatory approval." Konecsni said he believes that within a year the regulatory approvals, processes and construction of new production facilities will be completed, meaning the supply chain will start moving more efficiently.